As a diversified, publicly-held company, Meredith Corporation encompasses a vast array of magazines and magazine media entities that vary from its female-oriented consumer brands, such as Allrecipes and Better Homes & Gardens, to its expanded reach through acquisitions and strategic partnerships, such as its recent purchase of Time Inc. Meredith is now the largest magazine media company in the country. Meredith’s Magazine President Doug Olson, is excited about the incoming titles that Time Inc. brings to the table, and is ready to roll up his sleeves and get busy. The future looks very bright indeed for Meredith and the additional family members it has brought into the fold. I spoke with Doug recently, for his first in-depth interview, and we talked about the Time Inc. acquisition and about the legacy Meredith and what this new endeavor could and would mean for the company. 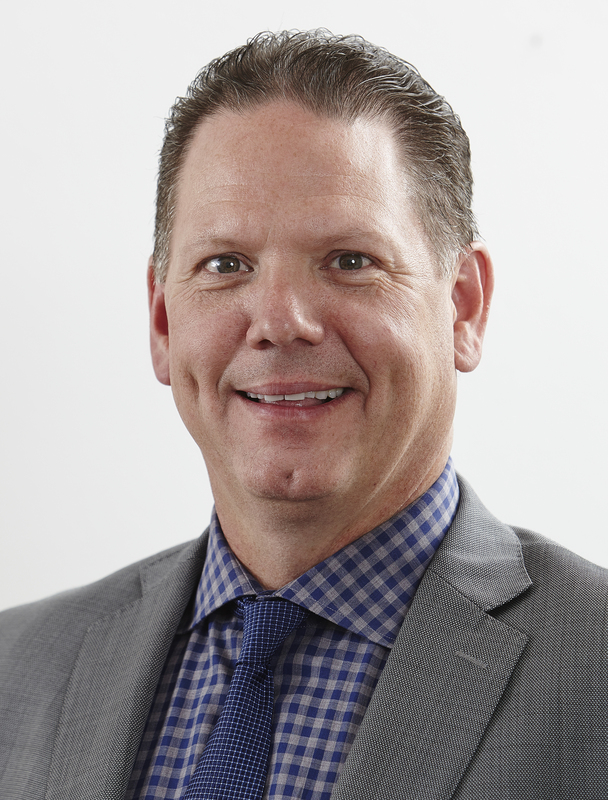 Doug is a firm believer in print, and he’s also an advocate for digital and all of its many extensions, from social media to online. And for the partnerships that pump new blood into the legacy company that keeps defying the odds and launching new print magazines, many of them from former digital-only entities. In Doug’s own words: “If they can see it in print, it confirms that they made it.” Print Proud Digital Smart, indeed. So, I hope that you enjoy this conversation with a man who believes in his brands, all of his brands, both new and old, and believes in his company and says the differentiator between Meredith and many others is, Meredith doesn’t just play to not lose, Meredith plays to win – the Mr. Magazine™ exclusive interview with Meredith’s Magazine President Doug Olson. On whether he thinks magazines are really going out of style or if there’s been a rebirth: Honestly, we’ve made a pretty big bet that they’re not going out of style with our acquisition of the Time Inc. portfolio of brands. We continue to be very excited about the future of these brands in all platforms, whether it’s in print or digital or social. Allrecipes is a perfect example of one of the brands that we took from digital and turned it into print. It obviously has a very large footprint in digital, but the print continues to grow. While the Magnolia Journal gets a lot of press these days, the Allrecipes brand has been very successful as well, especially given its origin within digital. It’s up to almost 1.3 million subscribers; it’s one of the brands that has been meeting its numbers every single year since we launched it. On how he feels going into the marketplace knowing that Meredith is now the number one magazine media publisher in the United States: We think we’ve been the efficient operator in the marketplace for some time and that’s one of the reasons that we got the opportunity to own these great brands. But we understand our standing in the magazine world, if you will, has changed. It’s one that we embrace; we certainly respect it. But at the same time, we’re going to keep doing what we’ve been doing. We think we do a lot of X’s and O’s, blocking and tackling, just back to the basics to help advertisers sell more products or get their brand messages out to consumers. And that’s what we’ve done since the beginning on this thing, and that’s what we’re going to continue to do. On how it feels to be in charge of the largest group of magazines in the country: It feels great. There are really five of us that have worked on this for over five years. I was in the initial meetings when we tried to jar these great brands loose from Time Warner back in 2012. And we’ve stuck with it and now we’re here. Again, we respect how big the task is, but at the same time we’ve got great people at legacy Meredith and there are some really good talented people at the incoming Time Inc.’s stable of brands and its employee base. We think that together the combination will be dynamite. On whether the titles of publisher and editor may be coming back to the newly acquired Time Inc. titles: We’re strong believers in that someone has to get up every single day and focus on the individual brand. At Meredith, everyone is an integrated seller, it’s just to what degree do they focus on print versus digital and some of the other advertising mediums that are out there now. So, we want to take the best of both organizations…there are some things at the incoming Time Inc. organization that were working pretty well in the marketplace. 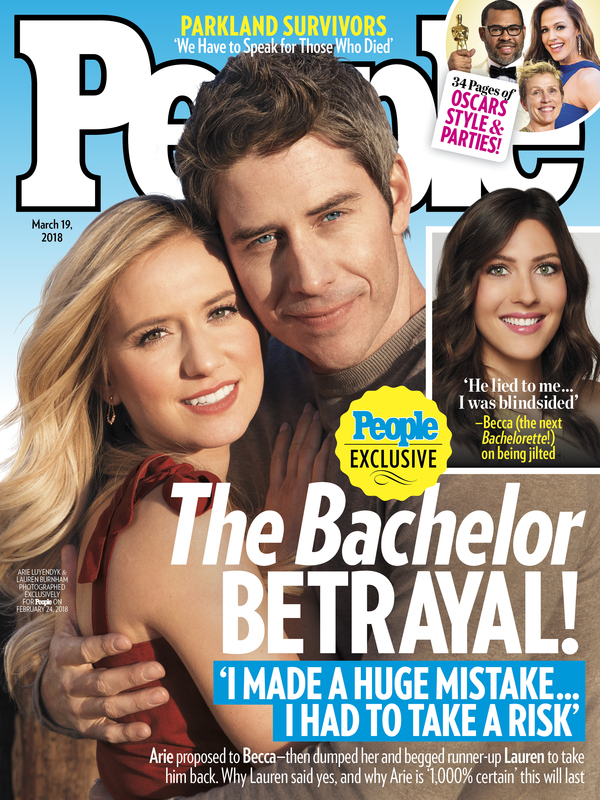 There were a lot of things, especially around People magazine, that have been very vibrant for them. They’ve done a great job of focusing on what really throws off a lot of revenue and a lot of profit for the old Time Inc..
On how it feels to have weeklies now, such as People magazine: It’s definitely different for us, but the great news is there is a lot of expertise on the weeklies that exist in the acquired organization and we’re clearly leveraging their expertise. We admire the People brand. Obviously, as you mentioned, it’s the largest in the U.S., probably the largest in the world, if you really get down to it. But we’ve also run a very large brand ourselves called Better Homes & Gardens, which has a lot of multiplatform tentacles hanging off of it; a huge licensing program at Walmart, and a very large special interest media stable of brands that we sell on the newsstand. We’ve got a very large digital presence, so we’re used to overseeing and managing very large brands, but clearly People is at the next level. On recent comments CEO Tom Harty made about increasing rates, cutting frequencies and reducing circulation, mainly due to the postal service: We stand by his comments that if such a large increase is passed on to an industry in one fell swoop, especially the way they’re talking about it, then there’s going to be some kind of fallout. You can’t continue to do what you’ve been doing, business as usual, with such a large increase in your expenses. On the rumors that Meredith wants to be purely a women’s magazine publishing company: First of all, I don’t think people understand that we actually have some other men’s titles within the legacy Meredith stable. Successful Farming actually started the company and is very much aimed at mostly males, although there are more and more females that are operators in that space these days. Wood Magazine is another one. We do a fair amount of custom printing things along the way for some male audiences as well. On whether he feels Meredith and Hearst are in a race when it comes to new magazines or new partnerships: I think Hearst is a very formidable competitor. They have some great brands over there as well and some really good people. I would say that they have chosen a path and we’ve chosen a slightly different path. We think brands matter tremendously and I think they do too, but we’ve put our money on brands that are some of the biggest in the world, and they went after some smaller ones, what we would call tuck-in acquisitions. I think both strategies are good strategies. It’s great to have a strong competitor, to be honest with you. It makes us better if we have a strong competitor. On whether this year will see a calmer Meredith after the Time Inc. acquisition or 2018 will be full-steam ahead:We’ve shared with our shareholders, our board and our leadership team that this is really a two-year journey. This is a big undertaking; we want to get it right and take our time. We want to get the cost structure in line with the realities in the marketplace, and we don’t think we can do that in one fell swoop. We have to be very iterative. We’re doing some things now that are going to give some clarity to the marketplace as to who is covering their account and who they need to talk to. And we have to make sure that we get all of our brands covered, so that there are not brands lost in the shuffle. We think that we’ve embraced the realities of the marketplace over the last few years. And we believe that we’re very competitive and we’re going to be an employer of choice when all is said and done here. And I think there’s a lot of people at the incoming Time Inc. who are looking forward to some really good, solid leadership. They have great career opportunities in front of them. We haven’t even talked about how awesomely the content generation mechanism of this organization is. The editorial and the content production that we do is second to none. On whether he is spending a lot of time now shuttling between New York and Des Moines: Yes, we’re spending a lot of time on the new business, but at the same time we have our existing legacy Meredith business to also run. The great thing is I have really good people who work for me and throughout this organization. We’ve asked everybody to step up and do more. We want to learn as much as we can of what was happening in a real positive way at the old Time Inc. and not lose that in all of the things we do. But clearly there will be some changes, and we’re going to put the best possible team on the field to go out and deal with the new realities of this marketplace, which is a lot tougher than it used to be. On the biggest stumbling block they faced during this transition and how they overcame it: That’s a good question. We’re not past it yet, we’re in the early stages. The easy part is actually done. The hard part now is making sure that we execute it the way we drew up the plans. But I think the biggest stumbling block was just getting everyone to believe and see what we see. That we see some great brands, that print is still a very big piece of an advertiser’s success moving forward. All of these great platforms, that large digital business that we have now between the two organizations puts us at number six for all unduplicated, unique visitors in the country. On what someone would find him doing if they showed up unexpectedly one evening at his home: With all of the traveling that I do, it’s probably talking to my wife with a glass of wine in hand. We like to record some TV shows. For example, I hope no one lights me up over this, but we like to watch The Voice. That and we’re huge sports enthusiasts, so we like to go watch basketball and hockey games, volleyball and football, obviously. Anything except baseball regular season. I can’t do that. I try to go to the playoff games, but I can’t watch regular season baseball. Anything else sports-wise, we’re in. We’re also big water people, so we do a lot of wakeboarding, skiing, boating and tubing, and things like that. Only in the summertime, of course, in Iowa. On what he would have tattooed upon his brain that would be there forever and no one could ever forget about him: I take this lead from my father who passed away last October. My dad always treated everybody the same. It didn’t matter if they were the CEO of the company or the person who was delivering the mail, he always treated people the same. And that’s what I try to do. So, I hope that people would say he was fair and treated everyone the same. On what keeps him up at night: The biggest thing that keeps me up at night is the advertising marketplace. I struggle sometimes as to why advertisers put their money where they put it. We have all of the platforms and we feel really good that if an advertiser has a need, that we can help them solve whatever issue they’re trying to tackle. To me, some of this is all about attitude. The people who tend to work for us are very resilient; they’re very good at what they do. They get out there no matter what they’re told, even if they get a 15-minute meeting that was supposed to have been an hour and it gets shortened because of other commitments that the advertiser or agency has. They do their best to get the message out there. We can help sell more products and improve their brand. And now the lightly edited transcript of the Mr. Magazine™ interview with Doug Olson, Meredith’s Magazine President. Samir Husni: It was recently announced that Allrecipes has the fifth largest magazine media audience on a monthly average, 54 million. That’s double the number of people who watched the Oscars. As president of Meredith Magazines, what do you think the status of magazines is today? Are they really going out of style or has there been a rebirth; what’s going on? 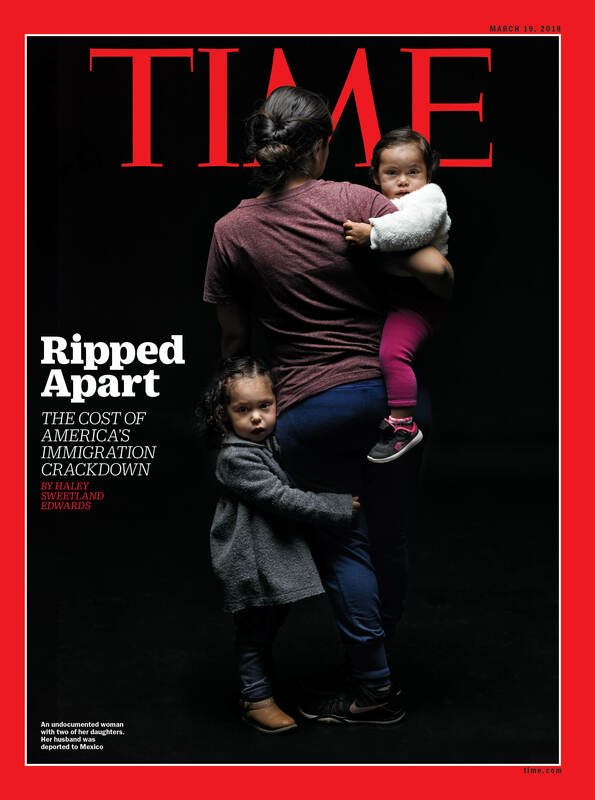 Doug Olson: Honestly, we’ve made a pretty big bet that they’re not going out of style with our acquisition of the Time Inc. portfolio of brands. We continue to be very excited about the future of these brands in all platforms, whether it’s in print or digital or social. 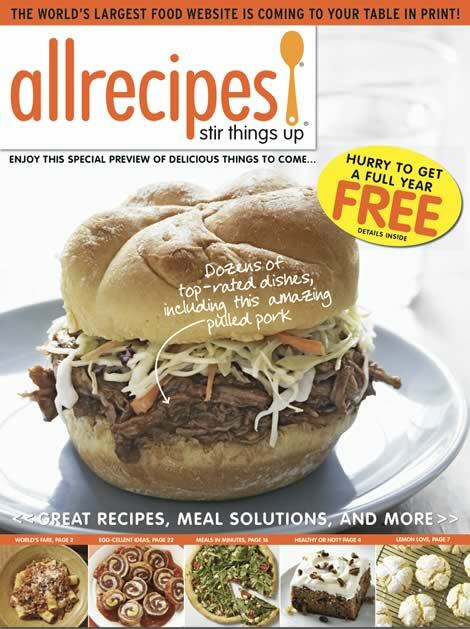 Allrecipes is a perfect example of one of the brands that we took from digital and turned it into print. It obviously has a very large footprint in digital, but the print continues to grow. While the Magnolia Journal gets a lot of press these days, the Allrecipes brand has been very successful as well, especially given its origin within digital. It’s up to almost 1.3 million subscribers; it’s one of the brands that has been meeting its numbers every single year since we launched it. Samir Husni: Meredith’s chairman, Steve Lacy, told the Wall Street Journal that when he asked a reporter to guess how many Better Homes & Gardens printed 10 years ago versus how many it prints today…(Laughs) and we know of course, the answer is the same exact number. Doug Olson: Yes, eight million. Samir Husni: Eight million. So, when you go to the marketplace, and with Meredith now being the number one magazine media publisher in the United States, do you feel like the weight of magazine media is full on your shoulders or do you feel like you’re the defender of magazine media, or you’re just riding the wave? Doug Olson: We think we’ve been the efficient operator in the marketplace for some time and that’s one of the reasons that we got the opportunity to own these great brands. But no, we understand our standing in the magazine world, has changed. It’s one that we embrace; we certainly respect it. But at the same time, we’re going to keep doing what we’ve been doing. We think we do a lot of X’s and O’s, blocking and tackling, just back to the basics to help advertisers sell more products or get their brand messages out to consumers. That’s what we’ve done since the beginning, and that’s what we’re going to continue to do. 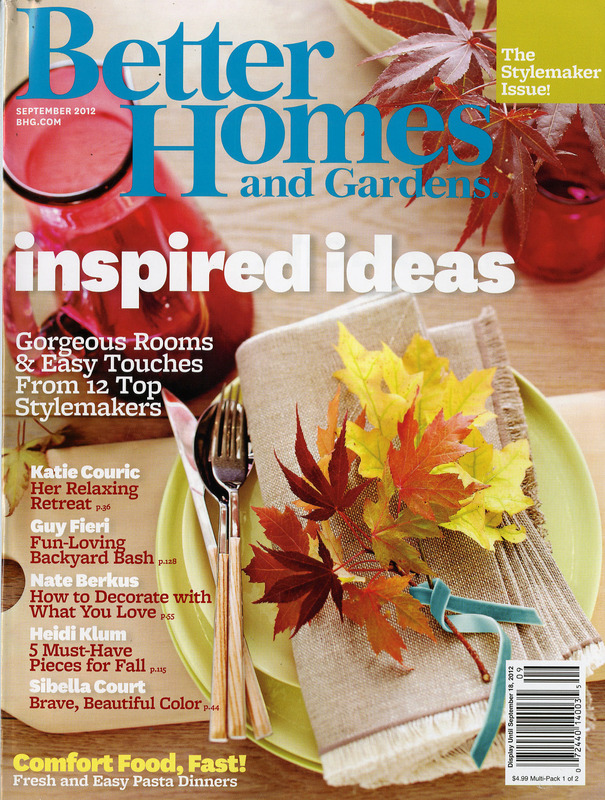 And from a consumer perspective, what you brought up; we still do an eight million print run of Better Homes & Gardens today just like we did 10 years ago. You can pretty much look across our portfolio and it’s the same thing. Newsstand clearly has been challenged in the industry, but we’re one of the publishers, until recently with the Time acquisition, that really hasn’t relied that heavily on newsstand. And so our consumer metrics have never been stronger when you look at it across the board. Samir Husni: I know that Steve Lacy took about four or five years to buy Time Inc., but for you, as president of Meredith Magazines, did it feel like you went to sleep one night and woke up the next morning in charge of the largest group of magazines in the country? How does that feel? Doug Olson: It feels great. There are really five of us that have worked on this for over five years. I was in the initial meetings when we tried to jar these great brands loose from Time Warner back in 2012. And we’ve stuck with it and now we’re here. Again, we respect how big the task is, but at the same time we’ve got great people at legacy Meredith and there are some really good talented people at the incoming Time Inc.’s stable of brands and their employee base. We think that together the combination will be dynamite. We have to go through this period where we get our go-to-market messaging correct and we have to get the right team on the field. Basically, we’re pivoting to change the sales structure as we speak. We told the marketplace that in roughly 60 days it would be business as usual from when we closed on January 31. Toward the end of March people are expecting to hear from us again. We’re working really hard to pivot this large portfolio and this big sales force to capitalize on the market. Samir Husni: With all of the changes that took place at Meredith and venturing from print to multiplatform to capturing the audience, the consumers, you’ve never changed the structure. You kept the publisher as the title of publisher; you kept the editor as the title of editor. There is some talk or some quotes from Tom Harty and maybe others that those titles are coming back to the newly acquired magazines. Doug Olson: We’re strong believers in that somebody has to get up every single day and focus on the individual brand. At Meredith, everyone is an integrated seller, it’s just to what degree do they focus on print versus digital and some of the other advertising mediums that are out there now. So, we want to take the best of both organizations…there are some things at the incoming Time Inc. organization that were working pretty well in the marketplace. There were a lot of things, especially around People magazine, that have been very vibrant for them. They’ve done a great job of focusing on what really throws off a lot of revenue and a lot of profit for the old Time Inc..
We think that we do some things particularly well; we’ve really stuck to our X’s and O’s blocking and tackling, if you will, uncovering the market, while everybody else in the marketplace was going through some kind of change, we just stuck with it. And we believe our secret sauce is working together, regardless of how we’re organized. The people who work at the legacy Meredith Corporation understand that we’re going to work together. So, if we need someone who has a little more expertise in shopper marketing, we bring them in and utilize them. At the end of the day, I think the structure is important, but I don’t think structure should get in the way of your ability to be successful. Samir Husni: You mentioned People magazine and of course, it’s the number one moneymaking magazine in our country, both from circulation and from advertising, or at least it used to be for years. How does it feel to suddenly have weeklies now? Doug Olson: It’s definitely different for us, but the great news is there is a lot of expertise on the weeklies that exist in the acquired organization, and we’re clearly leveraging their expertise. We admire the People brand. Obviously, as you mentioned, it’s the largest in the U.S., probably the largest in the world, if you really get down to it. But we’ve also run a very large brand ourselves called Better Homes & Gardens, which has a lot of multiplatform tentacles hanging off of it; a huge licensing program at Walmart; a very large special interest media stable of brands that we sell on the newsstand. We’ve got a very large digital presence, so we’re used to overseeing and managing very large brands, but clearly People is at the next level. Samir Husni: Recently, Tom Harty made comments about possibly increasing rates, cutting frequencies and reducing circulation, mainly due to the postal service, can you comment on that? Doug Olson: We stand by his comments that if such a large increase is passed on to an industry in one fell swoop, especially the way they’re talking about it, there’s going to be some kind of fallout. You can’t continue to do what you’ve been doing, business as usual, with such a large increase in your expenses. Samir Husni: The last time I spoke with Tom, he mentioned that, because a lot of the talk in the industry was that Meredith was going to sell whatever is not aimed at women, whatever isn’t a women’s title, and Tom told me that Meredith was going to look at everything: men’s, women’s; you name it, although your expertise is in women’s titles. Can you put those rumors to rest, that you’re not going to be just a pure women’s magazine company? Doug Olson: First of all, I don’t think people understand that we actually have some other men’s titles within the legacy Meredith stable. Successful Farming started the company and is very much aimed at mostly males, although there are more and more females that are operators in that space these days. Wood Magazine is another one. We do a fair amount of custom printing things along the way for some male audiences as well. What I would say is that we’re looking at everything, like Tom said. Five years ago there were a lot of rumors that we didn’t want to buy the news and sports business – because we didn’t. But a lot has changed in the last five years. Those businesses have really nice digital extensions now and big audiences. When we say we’re looking at the portfolio in totality, we have to, because we have so many great brands in this stable and we want to make sure we put our best foot forward when we go to market. But we’re a publicly-traded organization and so anything that makes money, obviously is high on our list. We don’t run brands that are unprofitable very long, so when we look at the new realities in the marketplace, we’re looking at it from all angles. How important is the digital business on some of these brands? What does their print future look like? Rate base, frequencies; there’s a lot to look at. We haven’t come to any conclusions yet, because we’re right in the middle of the analysis. Samir Husni: Meredith and Hearst have been bringing in a lot of new magazines and entering a lot of new partnerships. Just before you bought Time Inc. you launched Hungry Girl with a partnership with the Hungry Girl, Lisa Lillien. Do you feel that you’re in a race with Hearst or the two of you are just happy to be the number one and number two in the magazine media field? Doug Olson: I think Hearst is a very formidable competitor. They have some great brands over there as well and some really good people. I would say that they have chosen a path and we’ve chosen a slightly different path. We think brands matter tremendously and I think they do too. But we’ve put our money on brands that are some of the biggest in the world and they’ve went after some smaller, what we would call tuck-in acquisitions. I think both strategies are good strategies. It’s great to have a strong competitor, to be honest with you. It makes us better if we have a strong competitor. Samir Husni: You’ve been so busy with the acquisition and you said that you had 60 days before it was back to business as usual, so will we see a calmer Meredith this year while you gather all the pieces, or you’re still going to be full-steam ahead? Doug Olson: We’ve shared with our shareholders, our board and our leadership team that this is really a two-year journey. This is a big undertaking; we want to get it right and take our time. We want to get the cost structure in line with the realities in the marketplace, and we don’t think we can do that in one fell swoop. We have to be very iterative, if you will. So, we’re doing some things now that are going to give some clarity to the marketplace as to who is covering their account and who they need to talk to. And how do we make sure that we get all of our brands covered, so that there are not brands lost in the shuffle. We’re working really hard on our organizational structures and what that’s going to look like over time, and we are doing it in a very controlled and managed fashion. It’s not going to be 60 days and that’s it, and then move on to greener pastures. We have a lot of work to do. We have some trends that we need to reverse, mostly with advertising. We’re going to have to roll up our sleeves and get back to those X’s and O’s, blocking and tackling, that we’ve been talking about. It all starts with clarity to the people that work in our organization and clarity to the marketplace. Samir Husni: With the extra responsibilities that you have and the extra titles under your belt, and there was a lot of talk in the industry when Tom’s salary was revealed and how much less money it was compared to previous CEOs and other CEOs in the magazine business, because of all of these extra responsibilities, did Meredith double or triple your salary? Doug Olson: We think that we’ve embraced the realities of the marketplace over the last few years. We believe that we’re very competitive and we’re going to be an employer of choice when all is said and done here. And I think there’s a lot of people at the incoming Time Inc. who are looking forward to some really good, solid leadership. They have great career opportunities in front of them. Like I said, everyone is an integrated seller. We haven’t even talked about how awesomely the content generation mechanism of this organization is. The editorial and the content production that we do is second to none. It’s amazing. We cover a lot of different categories, readers’ patch and points. The people who create this great content every single day, as I meet more and more of them, are really tremendous resources and really good people. We’re intentionally leaving the editorial alone for now and really focusing on the sales and marketing and some of the support organizations. We don’t want to get in the way of producing great content. Samir Husni: Tell me how you’re spending your time now? Are you shuttling between downtown New York and Des Moines? Doug Olson: Yes, we’re spending a lot of time on the new business, but at the same time we have our existing legacy Meredith business to also run. The great thing is I have really good people who work for me and throughout this organization. We’ve asked everybody to step up and do more. We want to learn as much as we can of what was happening in a real positive way at the old Time Inc. and not lose that in all of the changes. But clearly there will be some changes and we’re going to put the best possible team on the field to go out and deal with the new realities of this marketplace, which is a lot tougher than it used to be. Samir Husni: If you had to pick one major stumbling block that faced this entire transition, what would that be and how did you overcome it? Doug Olson: That’s a good question. We’re not past it yet, we’re in the early stages. The easy part is actually done. The hard part now is making sure that we execute it the way we drew up the plans. But I think the biggest stumbling block was just getting everyone to believe and see what we see. That we see some great brands, that print is still a very big piece of an advertiser’s success moving forward. All of these great platforms, that large digital business that we have now between the two organizations puts us at number six for all unduplicated unique visitors in the country. Turning around advertising is huge for us. We need the entire portfolio to be more in line with what the legacy Meredith business is doing. Continuing to build digital is high on our list because six is great, but Facebook and Google at number one and number two, depending on which article you read, take anywhere from 65 to 80 percent off the top. And we have to continue to get scale and be innovative there so people want to turn to us at the same time they’re turning to Facebook and Google. And when you’re doing all of these things at the same time, there are a lot of moving parts. I always describe it to my staff as we’re trying to change the tire on the car as we’re going 80 mph down the interstate. Samir Husni: And if anyone can, Meredith can. Doug Olson: We hope so. We’ve made a very large bet and the Meredith family has entrusted the management team and the board here has entrusted the management team to make this successful and we think we’re off to a good start. But like I said, it’s early days and a lot of work in front of us still. Doug Olson: With all of the traveling that I do, it’s probably talking to my wife with a glass of wine in hand. We like to record some TV shows. For example, I hope no one lights me up over this, but we like to watch The Voice. That and we’re huge sports enthusiasts, so we like to go watch basketball and hockey games, volleyball and football, obviously. Anything except baseball regular season. I can’t do that. I try to go to the playoff games, but I can’t watch regular season baseball. Anything else sports-wise, we’re in. We’re also big water people, so we do a lot of wakeboarding, skiing, boating and tubing, and things like that. Only in the summertime, of course, in Iowa. Doug Olson: I take this lead from my father who passed away last October. My dad always treated everybody the same. It didn’t matter if they were the CEO of the company or the person who was delivering the mail, he always treated people the same. And that’s what I try to do. So, I hope that people would say he was fair and treated everyone the same. Doug Olson: The biggest thing that keeps me up at night is the advertising marketplace. I struggle sometimes as to why advertisers put their money where they put it. We have all of the platforms. We believe that if an advertiser has a need, we can help them solve whatever issue they’re trying to tackle. To me, some of this is all about attitude. The people who tend to work for us are very resilient; they’re very good at what they do. They get out there no matter what they’re told, even if they get a 15-minute meeting that was supposed to have been an hour gets shortened because of other commitments that the advertiser or agency has. They do their best to get the message out there. We can help sell more products and improve their brand. We have this sales guarantee and it just always kind of blows my mind that more people don’t take advantage of that. We guarantee they will have more ROI if they put enough advertising into a national campaign. We can move the needle for them. They have a lot of choices, obviously, there’s a lot of experimentation, but I think there has been a lot of money put toward the things that really don’t move the needle. And I’m always struggling with why they don’t go back to what is proven. Whether it’s our digital or print, we’re going to stand behind it if they put a big enough campaign in the marketplace. Why would you not take a sure thing? When people say, gee, my boss told me that we can’t do print anymore because print is dead, I don’t know what they’re really looking at to come to that conclusion. Other than a whole bunch of social media, which we know is not always exactly on point with the truth. At the end of the day, I think the beauty of the new Meredith Corporation is that we understand there is some transitioning or shifting going on, but we believe we’re in a place to participate in that, too. If you want to reach consumers in a very credible way, we have these big brands that have lots of tentacles on them, including a very large print footprint. It’s really interesting to me that a lot of these social media people keep coming to us because they want to have a print presence, because it legitimizes their social standing. If they can see it in print, it confirms that they made it. One of the things that’s important to me is that we’re playing to win. In its simplest form, my elevator pitch is we’re playing to win versus a lot of people are playing not to lose. You can use any sports analogy that you want on that sentence, but the people who play not to lose generally lose.